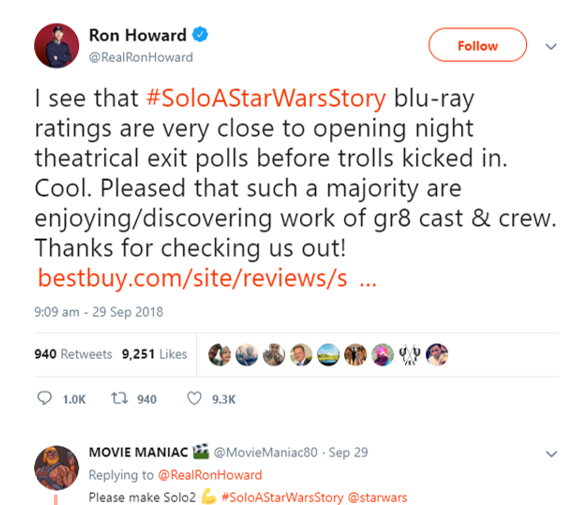 And while there is a lot to enjoy about “Solo: A Star Wars Story”, being quite a fun “smaller” movie. 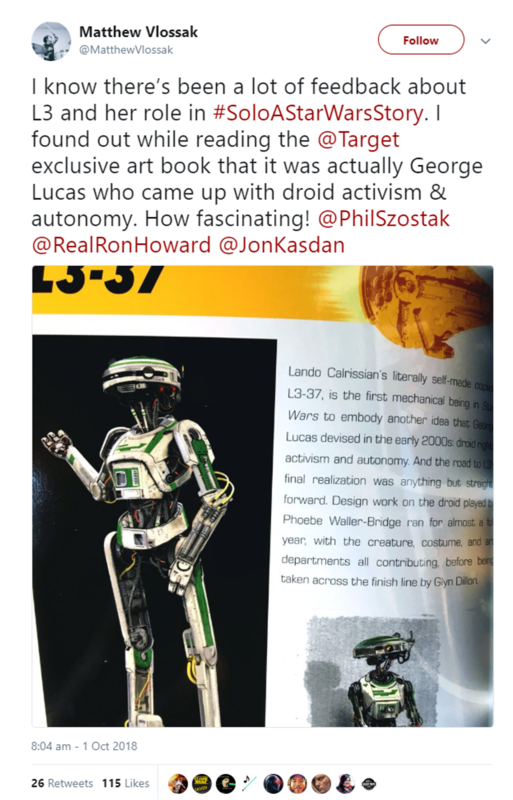 The Character of L3-37 came to be one of the more controversial characters in the film due to her vocal Droid Right Activism. And there were some fans that thought she stemmed from the “SJW” movement that some of fans have been claiming is ‘ruining’ Star Wars (which it ain’t). But as it turns out, her activism for Droid Rights was actually something George Lucas himself thought up way back in the early 2000s, around the time of the Prequel Trilogy. It is poetic in a way, given that the idea of a Solo movie was in fact Lucas’ as well. Before the Disney Buyout in 2012, Lucas and Lawrence Kasdan were writing up treatment for a Solo movie. 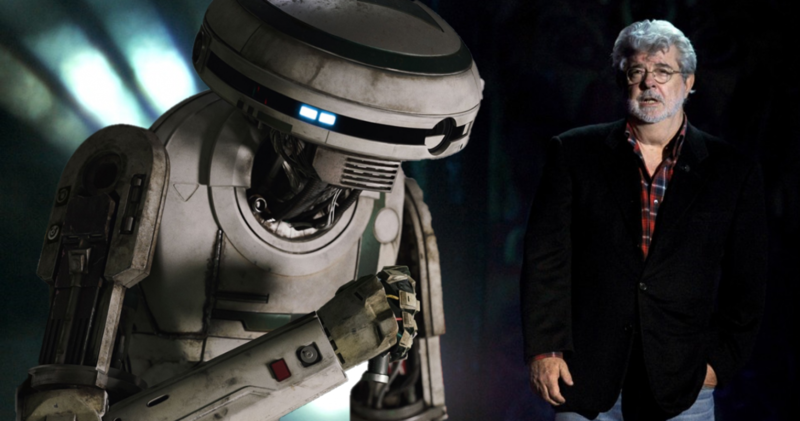 When Disney bought Star Wars for 4.1 Billion, Solo was put on the back burner so that Kasdan could focus on Episode VII, as Disney wanted to begin a new Trilogy.